Astronomer Fred Whipple Dies - Universe Galaxies And Stars Section. 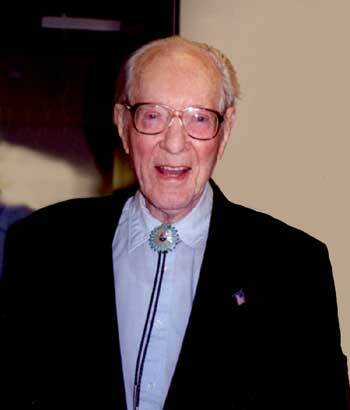 Famed astronomer, Dr. Fred Whipple, passed away on Monday at the age of 97 after a prolonged battle with illness. He was Phillips Professor of astronomy Emeritus at Harvard University and a Senior Physicist at Smithsonian Astrophysical Observatory. Perhaps best known for his research into comets, Whipple discovered six, and one of the first to suggest that they were icy conglomerates (aka "dirty snowballs"). He went on to direct the Smithsonian Astrophysical Observatory from 1955 to 1973, and the Mt. Hopkins Observatory was renamed the Fred Lawrence Whipple Observatory in 1981. Dr. Fred Lawrence Whipple, the oldest living American Astronomer and one of the last giants of 20th century astronomy, passed away yesterday at the age of 97 following a prolonged illness. He was Phillips Professor of astronomy Emeritus at Harvard University and a Senior Physicist at SAO. "Fred Whipple was one of those rare individuals who affected our lives in many ways. He predicted the coming age of satellites, he revolutionized the study of comets and as Director of the Smithsonian Astrophysical Observatory, he helped form the Harvard-Smithsonian Center for Astrophysics," says Charles Alcock, current Director of the Harvard-Smithsonian Center for Astrophysics (CfA). A discoverer of six comets, Whipple may be best known for his Comet research. Five decades ago, he first suggested that comets were "icy conglomerates," what the press called "dirty snowballs." His dirty snowball theory caught the imagination of the public even as it revolutionized Comet science. Whipple's change of concept from the generally accepted "flying sandbank" model was "one of the most important contributions to solar system studies in the 20th century," says Dr. Brian Marsden, director of the Minor planet Center located at SAO. "I think many people would agree that that was a really shining moment in his scientific career." A 2003 survey by The Astrophysical Journal showed that Whipple's 1950 and 1951 scientific papers on the "icy conglomerate" model were the most cited papers in past 50 years. Whipple's Comet work continued for a lifetime. In 1999, he was named to work on NASA's Contour mission, becoming the oldest researcher ever to accept such a post. Never one to limit his work to one area of research, Whipple also contributed to more earthly challenges. During World War II, Whipple co-invented a cutting device that converted lumps of tinfoil into thousands of fragments known as chaff. Allied aircraft would release chaff to confuse enemy radar. Whipple was particularly proud of this invention, for which President Truman awarded him a Certificate of Merit in 1948. Whipple also strongly influenced the early era of spaceflight. Mindful of the damage to spacecraft from meteors, in 1946 he invented the Meteor Bumper, a thin outer skin of metal. Also known as the Whipple Shield, this mechanism explodes a meteor on contact, preventing the spacecraft from receiving catastrophic damage. 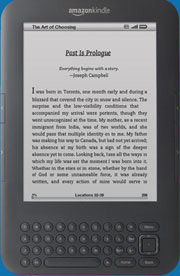 Improved versions of it are still in use today. Whipple and a handful of other scientists had the foresight to envision the era of artificial satellites. Only Whipple had both the imagination and the managerial skill to organize a worldwide network of amateur Astronomers to track these then hypothetical objects and to determine their orbits. When Sputnik I was successfully launched on 4 October 1957, Whipple's group was the only one prepared. Cambridge fast became a nerve center of the earliest part of the space age. Whipple and some of his staff were even featured on the cover of Life magazine for their satellite tracking prowess. Later, also under his leadership, SAO developed an optical tracking system for satellites using a network of Baker-Nunn cameras. That network achieved spectacular success. "It tracked satellites so well that Astronomers were able to determine the exact shape of the Earth from its gravitational effects on satellite orbits," says Dr. Myron Lecar of SAO. For his work on the network, Whipple received from President John F. Kennedy in 1963 the Distinguished Federal Civilian Service award. "I think that was my most exciting moment, when I was able to invite my parents and my family to the Rose Garden for the award ceremony," Whipple said in a 2001 interview. Born in Red Oak, Iowa, on November 5, 1906, Whipple studied at Occidental College and earned his undergraduate degree in mathematics at the University of California at Los Angeles, prior to moving to Berkeley to obtain his Ph.D. degree in 1931. He then moved to Harvard College Observatory in Cambridge, Massachusetts. Whipple directed the Smithsonian Astrophysical Observatory (SAO) from 1955 to 1973, before it joined with the Harvard College Observatory to form the Harvard-Smithsonian Center for Astrophysics (CfA). "Fred Whipple was a truly extraordinary person among extraordinary people. He was gifted with great scientific imagination, superb analytical skills, and excellent management acumen," says Dr. Irwin Shapiro, who served as CfA director from 1983 to 2004. In the late 1960s, Whipple selected Mount Hopkins in southern Arizona as the site for a new SAO astronomical facility. Whipple was part of the group that initiated a novel and low-cost approach to building large Telescopes first realized in the construction of the Multiple Mirror Telescope, a joint project of SAO and the University of Arizona. Mt. Hopkins Observatory was renamed Fred Lawrence Whipple Observatory in 1981. Dr. George Field, the first CfA director, says of Whipple, "He will be remembered by a generation of scientists for his leadership and for his keen insight. He was admired by his friends and colleagues for his integrity, and for doggedly pursuing his research into his nineties." In 1946 Whipple married Babette F. Samelson, by whom he had two daughters, Sandra and Laura. He also had a son, Earle Raymond, by his first marriage.